Now, don't laugh looking at this picture. 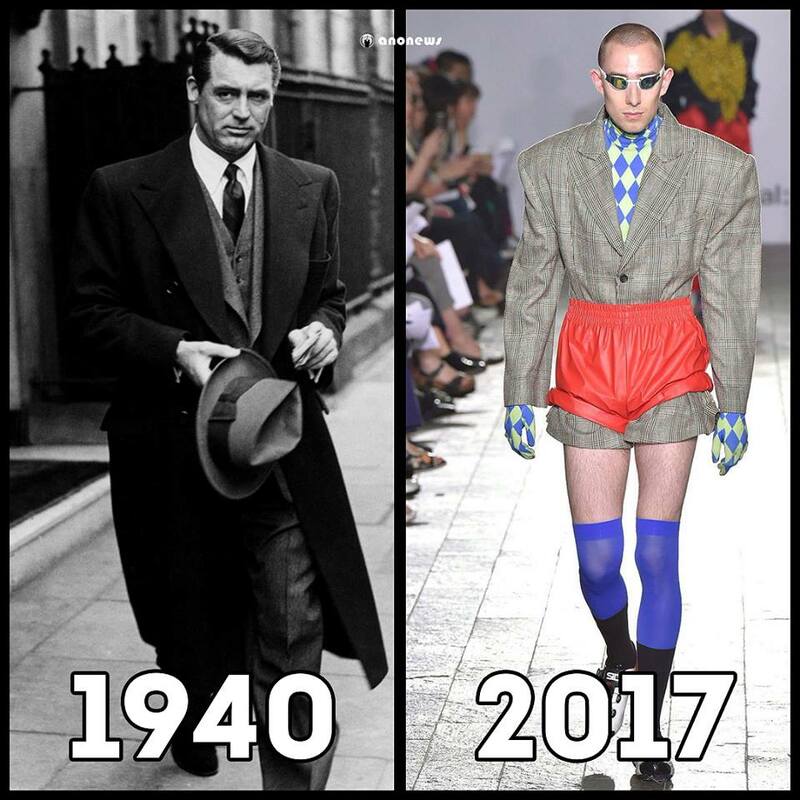 If you think that the fashion trend for 2017 looks absurd, just think of the attire that you wear at home. Research reveals that nine out of ten men walk around in their underwears when they are at home. When there is a housemaid at home, then they cover themselves with some lungi. My uncle "Rajasekar" (name not changed on purpose) does not entertain any guests on weekends to his house because just loves to roam around his house in his underpants. I never dispose of my old underwears. I put them to some use or the other. Some of them are used to clean my car now. I indeed collect them. Well, I don't have a fetish. But I would love to have a Brief History because varalaaru is important. After the long year-end annual leave, I forgot my laptop password and I found it difficult to log back into my office system. That is when I realized that underwears and passwords have many common traits. The only thing that I hate about underwears is when fashion models wear them and walk around, they call it ramp walk. They even get paid for it and when I try the same fashion in my street, the stray dogs chase me. 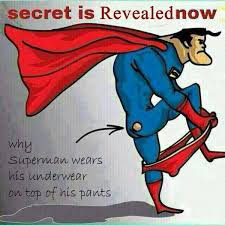 In the latest Superman movies, you will not see him wearing his underpants on top of his pants. This is because he has now got a new pair of pants and there is no need to cover the hole in the pant. If you don't like this post, maybe it is high time that you started wearing an underwear.